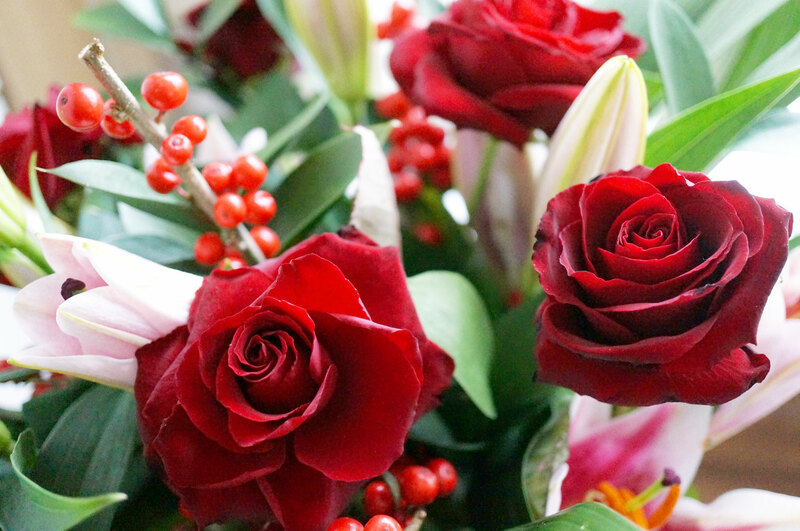 I have the most beautiful bouquet of Christmas flowers to share with you today! 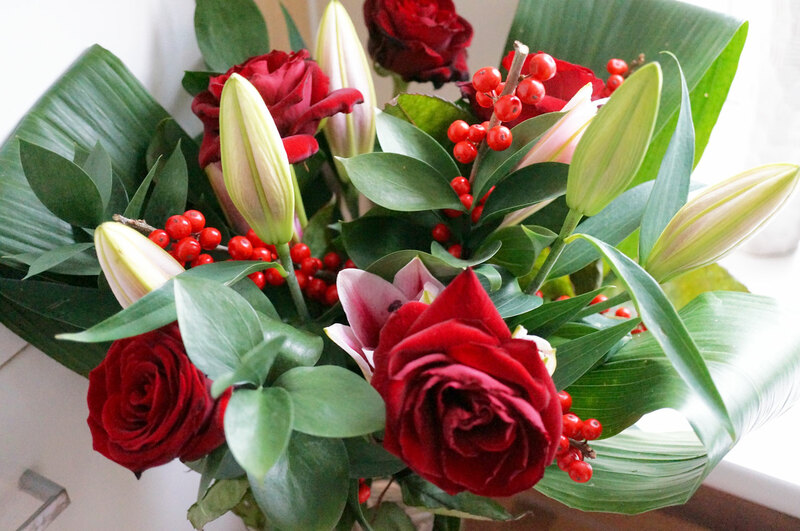 Last week Debenhams Flowers sent me this wonderful Christmas Lily & Rose bouquet – as you can see it includes stunning grand prix red roses, oriental lilies and christmas berries, it’s the perfect bouquet to add festive cheer to your home! My house is pretty small and as the flowers are a decent size I struggled to find somewhere to place them. 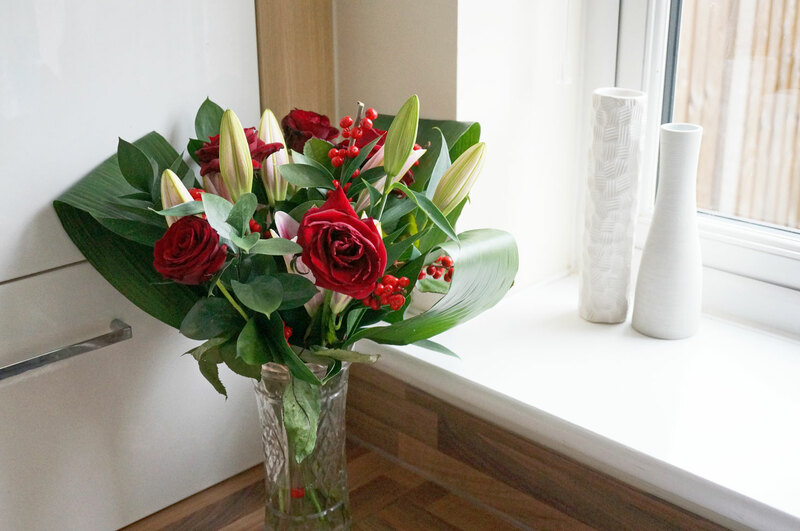 I also didn’t have a vase big enough! So I borrowed this crystal number from my mum and ended up with the flowers in the kitchen. 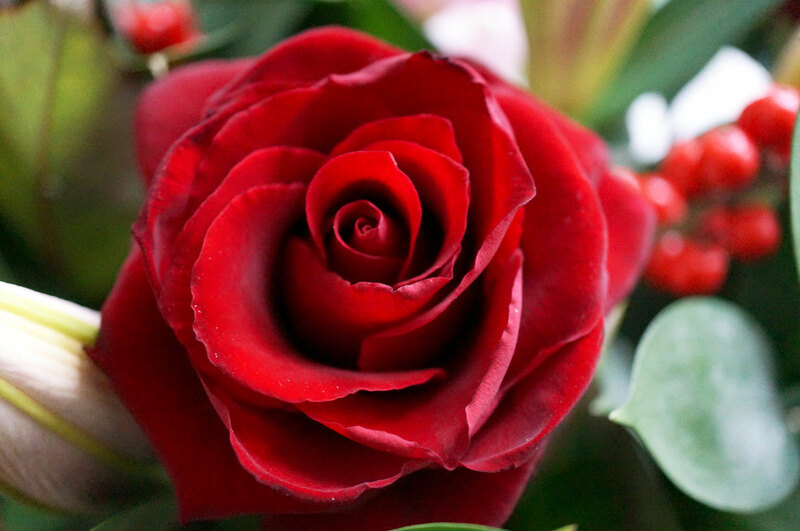 They make the room smell lovely! *Update* – the lilies have now started to bloom and the look amazing!! 😀 Take a look at the above link to see what the bouquet will look like when the lilies are open! Next Post Beauty at Tesco Mini Haul!